I got to work in Preston’s classroom for the first time this year today, I loved it! I’m unable to work in my kids classes this year so I volunteered to be Preston’s room mom and Carlee’s teacher asks me for help when there are things that I can do at home. 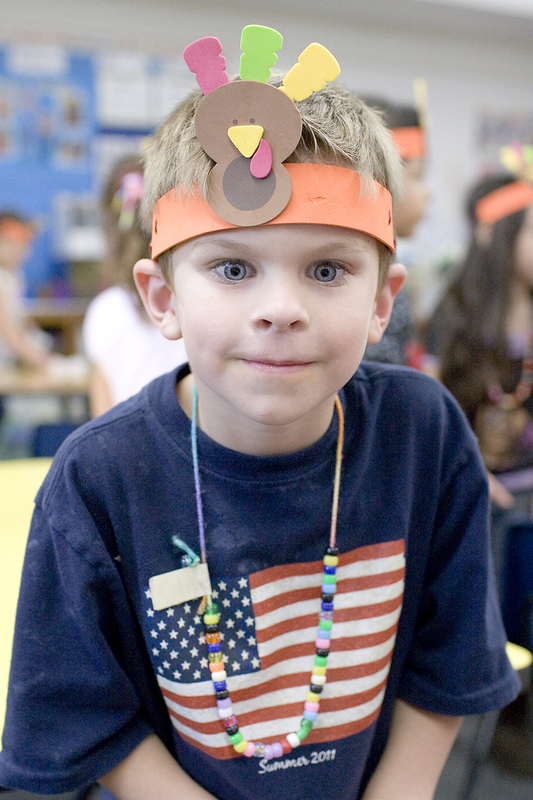 So, as room mom I put together the parties, for their Thanksgiving activity I got the turkey headband kits for all the kids to put together and then asked a few other mom’s for help with treats and drinks. Preston was so excited for me to be in the classroom and was so awesome while I was there. He showered me with hugs but stayed in his seat when he was suppose to, which is a weakness of his at church, so I was proud of him. I loved being in there, it was really great! It is so great that you can do that. They are so proud of their mom and so happy for your presence.